Rajkot is third largest city in the state of Gujarat.Since its foundation till this date Rajkot has seen rules of many different rulers. 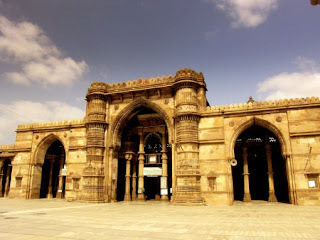 Rajkot was located in the center of Saurashtra state on the western side of River Aji; it was founded by Sardhar and Vishal Kanjariya in 1607 AD. Rajkot was overtaken by a Faujdar of Junagadh’s Nawab ‘Masum Khan’ in 1720 AD, who changed its name to Masumabad. Later Jadejas with the help of Raviraj Gadhvi won back Masumabad and restored back its original name Rajkot. Afterwards Pradumansinh Jadeja merged Rajkot in The Indian Union on India achieving Independence in 1947. It was under the bilingual Bombay state as the capital of Saurashtra till 1960 when Gujarat state was formed and Rajkot finally brought under Gujarat Rule. 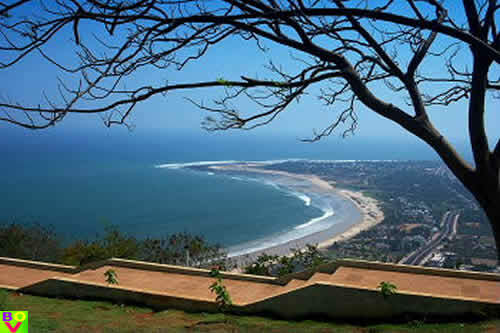 Visakhapatnam now is one of the India’s largest sea ports with a natural harbor on the Bay of Bengal on the eastern cost of Andhra Pradesh state of India. Apart from being a major seaport on east coast it also houses the Eastern Naval Command Headquarters and is a home to various public sector companies. In olden days Visakhapatnam was ruled by King Visakha Varma during BC period. In about 260 BC it was under the rule of Emperor Ashoka and was attached to Kalinga Kingdom. Later it was passed over to Vengi Kings and finally to Pallavas of Andhra Pradesh. The city finds its mention in epics of Ramayana and Mahabharata. Later texts of Hindu mention that in 5Th century the city was under Kalinga rule which was extended up to Godavari River. After wards King Ashoka won over Kalinga in the most ghastly battle which ultimately led Ashoka to embrace Buddhism. 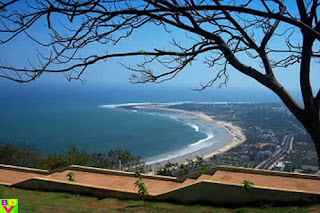 The territory of Visakhapatnam later came under the rule of vengi passed on to Pallavs and was attached to Surya Vamsi Gajpati kings of Orissa from 10Th Century to 16Th century AD. The temples in Visakhapatnam were built under Gajpati Kings during 11Th and 12Th century. In 16Th century the kingdom came under Nizam rule of Hyderabad. During later half of 16Th Century the natural harbor was used by French, and other European traders for export of Paddy, Tobacco, Iron Ore, Coal, Ivory and Muslin and other textile products to Europe and other western countries. In the 18Thcentury the costal Andhra and Costal Orissa region was under French rule and later passed on to British rule. After India’s Independence Visakhapatnam was the biggest district in India, so it was divided into three districts of Srikakulam, Vizianagaram and Visakhapatnam. Gorakhpur lies on the north eastern side of Uttar Pradesh bordering Nepal on its northern side. It is a proposed capital of yet to be formed Purvanchal state. It is named after the saint Gorakhnath of Middle Ages. The world’s largest publisher of Hindu religious books ‘The Gita Press’ is located here in Garakhpur. According to Vedic writings the earliest ruler of the land was Iksvaku whose capital was at Ayadhoya. The great King Chandra Gupta Maurya belonged to this land. Lord Gautam Buddha renounced his royal status and set out for meditation from a spot at the confluence of Rivers Rapti and Rohini near here. The town finds its mention in the epic Mahabharata when Bhima visits Gorakhpur to request saint Gorakhnath to be present at his Rajsurya Yagna. The appearance of Bhagavan Mahavir (the 24Th Tirthankara of Jainism) was at a place near here and his mahaparivan was witnessed at pava 15 Kms away from Kushinagar. Saint Kabir the spiritualist poet and saint was from village Maghar, a place 20 Kms. From Gorakhpur. People still throng his burial place to pay their respects to the saint. From 1803 Gorakhpur came under the British rule. It was a vibrating center during the freedom struggle of India. It was at the forefront of 1857 uprising. Later during freedom struggle Gorakhpur was always in action. The chauri Chaura incidence took place in Gorakhpur where 19 policemen were killed by the freedom fighter activists. Mahatma Gandhi severely aggrieved at the situation called off his Non-Cooperation movement. After announcement of Quit India Movement Jawaharlal Nehru was imprisoned here in Doharia Kala in Sahjanwal Teshil. Nine people died when an unprovoked firing was opened on the protest rally organized against Nehru’s arrest. Ram Prasad Bismil a daring freedom fighter was accused of Kakori massacre plot and was hanged in Gorakhpur district jail here. Trichy is one of the oldest inhabited cities of Tamil Nadu. Its earlier settlement dates back to 2nd BC when it was under the rule of Cholas. Uraiyur which presently forms suburb area of the city served as the capital place of the Cholas. Trichy was under rule of Cholas till 3rd century AD. From 6th to 8th century the entire southern part of India was under the rule of Palva kings. Mahendravarman the Palva king built the famous cave-temple of Rockfort near Trichy during the period. After the decline of the Palvas, Trichy came under the rule of medieval Cholas who ruled the region till the 13th century. Thereafter Trichy witnessed the rules of several kingdoms. It also experienced the rule of Vijayanagara kingdom and then Madurai Nayak Kingdom till 1736. Trichy also served as the place of capital during the period of Madurai Nayak kingdom. The last ruler of Madurai Nayak kingdom Meenakshi committed suicide and subsequently the region was captured by Chanda Sahib in 1736. Chanda Sahib could not hold it for long and had to lose it to Maratha in 1741. Later on Trichy came under the rule of Carnetic kingdom. It was in the year 1801 that the Carnetic kingdom was annexed to the British Empire in India. British continued to rule it until 1947 when India got independence. During British rule Trichy rose to significance for its variety of cheroot. It was also the second largest city in Madras presidency only after the city of Madras. Post independence era of India also witnessed the large scale development of the city of Trichy. The city was the part of Mauryan, Gupta and Kushan empires before it was annexd by the Kannauj Empire. Mughals took over the city in 1526, then after the Maratha rule the British Raj took the reins of control of the city and the state of Gujarat. The Sikh religion founder Guru Nanak Devji visited Prayag later Guru Tegh Bahadur also paid a visit to the city in 1666. The annual convention of the Indian National Congress was held twice in the city in the years 1888 and 1892. First civil aviation commercial flight in India was flown here from Allahabad to Naini on 18Th February 1911 carrying 6500 mails over a distance of 13 Kms by Henri Pequet the pilot. The Indian Independence revolutionary Chandrashekhar Azad killed himself by shooting with a pistol when he was surrounded by the British police. Jawaharlal Nehru the first prime minister of India was from Allahabad, where their houses Swaraj bhavan and Anand bhavan were the main center of activities of Indian national Congress. Alleppey, also known as Allappuza is the land of inland canals, coconut palms and of typical Kerala tradition. It is a very popular tourist spot of Kerala. The history of Alleppey dates back to the Sangam Age (the classical period: from 3rd BCE to 3rd CE). Sources assure us that Alleppey had strong trade links with ancient Greece and Rome. It was ruled by the Kuttanadu Cheras. It is the region where St.Thomas Aquinas had landed for the first time in India. It must have been around 52nd AD. He established a Church in Kokkamangalam near Alleppey. However the visit of the Saint had less impact on the lifestyle of the region. It was around 17th century the Portuguese and the Dutch started off their trade, Alleppey was made the base since it had easy access through the Arabian Sea. The Dutch built their ware houses in this district and later even started muddling with the local politics. The Raja of Travancore (Martanda Varma) was shrewd enough to shun the Dutch interference and helped the formation of Alleppey district. Through the initiatives taken by the Diwan of Travancore Raja Keshava Dasan the Alleppey district turned into a well planned port with inland water canals. Raja Keshava Dasan can be called as the architect of the Alleppey district. He was born in a very ordinary family and had very little exposure to the formal education. Keshava Dasan joined as a tally clerk under Poku Moosa, a local tradesman. Poku Moosa had an easy access in the Travancore royal court and thus he made a way for Keshava Dasan. Soon Keshava Dasan ascended the throne of Dewanship in the court of Raja Marthanda Varman. 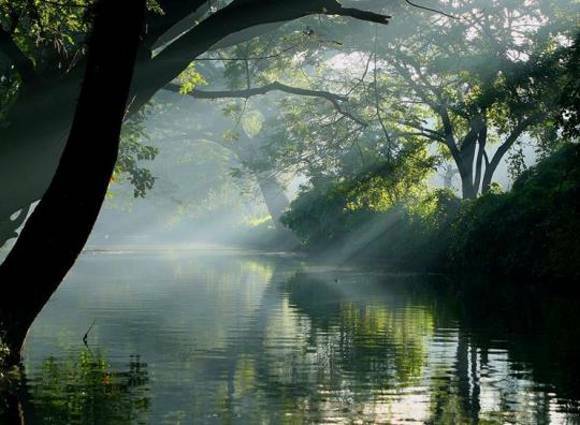 It was during this period that many inland canals were built in Alleppey connecting the Sea and just like the city of Venice trade on both sides of water canals, and floating markets were established. Allappuza became one of the busiest trade ports of India. It became a part of Travancore-Cochin States. After Independence the States were integrated into the Indian Republic. Alleppey as a separate district was formed in the year 1957 by the Indian Republic. 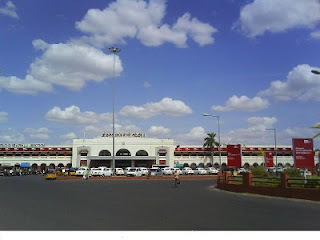 Ahmedabad is an olden and the largest city of Gujarat. with its inhabitation record going back to 11Th Century, and then Bhils were the rulers of the land which was known as Ashaval Bhils were defeated by the Anhiwara (the present day Patna). The name of the city was changed to Karnavati located near river Sabarmati. 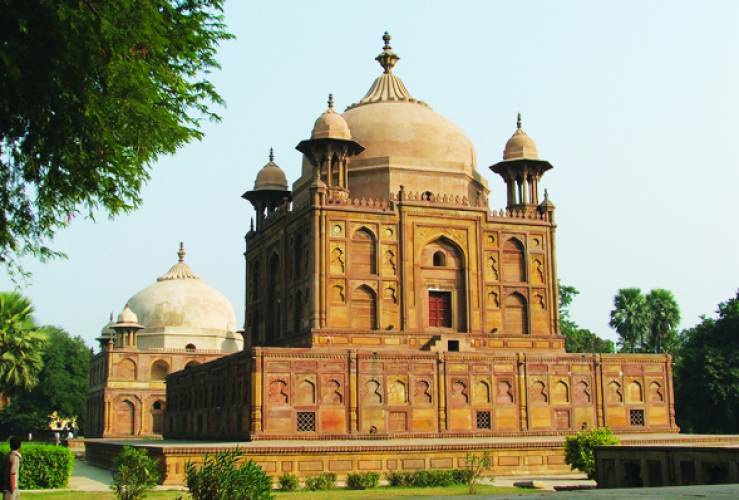 The sultan of Delhi conquered Karnavati in the year 1411 and changed its name to Ahmedabad. It remained under mouhgal rule until 1758 when Maharats took over its reign to rule. As the Gaekwads of Baroda and Peshwa of Pune fought amongst each other when British took over the rule of Ahmedabad in 1780 but it was returned to Marathas again. Eventually the British Raj as had conquered India took governance of Ahmedabad also in 1818. A military cantonment was established in 1824 and a municipal government was set up in 1858. Yet another development of linking Ahmedabad with Bombay was made in 1864, which gave the ultimate boost to the development of Bombay as well as Ahmedabad. A large number of rural people migrated to the cities to work in textile industries. The roots of India’s independence were developed in Ahmedabad during 1915 when Mahatma Gandhi set up his Kochrab Ashram in Paldi in 1915 and Satyagraha Ashram (Sabarmati Ashram) in 1917. Later these ashrams became the centers of powerful movement for support of India’s Independence. Till 1960 Ahmedabad had become a European style city with same style of buildings lining its big roads. After formation of Gujarat State, Ahmedabad was made its capital in 1960. There has been several incidences of sever setbacks to the process of developments in Gujarat but the city as well as Gujarat state has always made a comeback with better results and developments every time. The setbacks for Ahmedabad has been three severe communal wars, post partition (1947); post reservation policy declaration (1980’s) and recent Godhra violence (2002), a massive earthquake (2001) series of seventeen rippling bomb blasts (2008). The current liberalization of Economy has given a boost to the city’s economy, involving commerce, communication and construction activities. Vijayawada, the land of victory as it literally means, is the third largest city of Indian state of Andhra Pradesh. Vijayawada which was earlier known as Bezwada has several mythological stories about its origin. As per one of the legends Arjuna (a famous character of Mahabharata) created the Vijayawada after he got the blessing of the lord Shiva. Another mythological story states that goddess Durga got Vijaya (victory) by killing a demon there and thus the place came to be known as Vijayawada ( the land of victory). Vijayawada was also formerly known as Bezwada and there is another legend related to the region’s acquiring the name of Bezwada. According to the legend goddess Krishnaveni (Krishna River) once requested to Arjuna to create a passage for her to meet the Bay of Bengal. Arjuna honoring her request made Bejjam (hole) through the mountains. And thus the place began to be called as Bejjamwada and then was changed to Bezwada. Dynasties and kingdoms ruling Vijayawada changed from time to time until the arrival of British. Vijayawada was an important center for Buddhist during 7th century. During this time the famous Chinese traveler called Xuangzang visited the place. 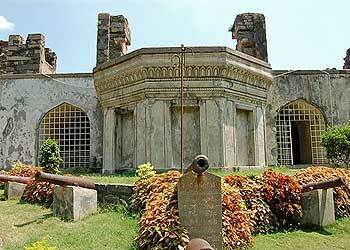 In the early history of Vijayawada it also served as the headquarter of Chalukyas of Badami. Vijayawada was once conquered by the great king of Krishna Deva Raya of Chalukyas. During the rule of British it experienced development works on large scale. But Vijayawada witnessed its real growth only after the independence of India in 1947. Jamnagar is a municipal city in the state of Gujarat, India. The city also serves as the head quarter of Jamnagar district. According to mythology Lord Sri Krishna, the eight incarnation of the Lord Vishnu, founded his capital at Dwaraka in Jamnagar district. Dwarkadhish Temple situated in Dwarka is believed to be built by Vajarnabh, great grandson of Lord Sri Krishna. Jams of Nawanagar (the earlier name of Jamnagar) are believed to be the descendents of Yadavas. Jams established their kingdom at Nawanagar. The kingdom was known as Halar and it was Jam Raval who had founded the city of Jamnagar (then Nawanagar) in 1540 as the capital fortress of their kingdom. The place where the main city was set up by Jam Raval forms the inner part of present city of Jamnagar. 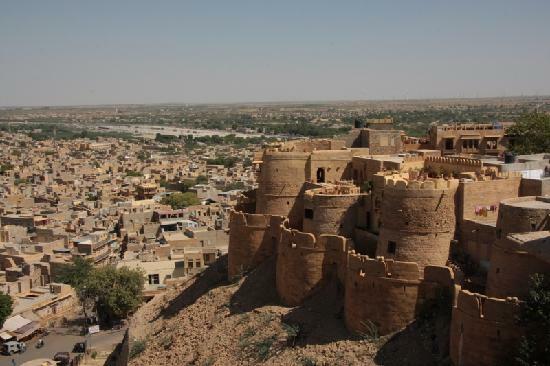 This part of city is known as Darbargadh and it houses Darabargadh palace and other historic buildings belonging to the period 16th century. Ashapur Temple situated there is also said to be built by Jam Raval. 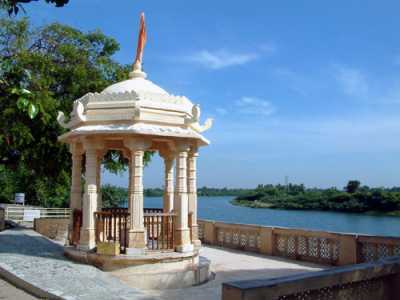 Jamnagar was ruled by several descendents of Jams Dynasty. Jamnagar continued to grow even after the arrival of British in India. Under the British control Jams continued to rule the city until 1947 when India got freedom from colonial rule. It was in 1949 the Jamnagar district was formed. In 1956 it became the part of Bombay presidency until 1st May 1960 when the presidency was divided in two states namely Maharashtra and Gujarat. Jamnagar remained with Gujarat state and has now grown into an important city of the state.